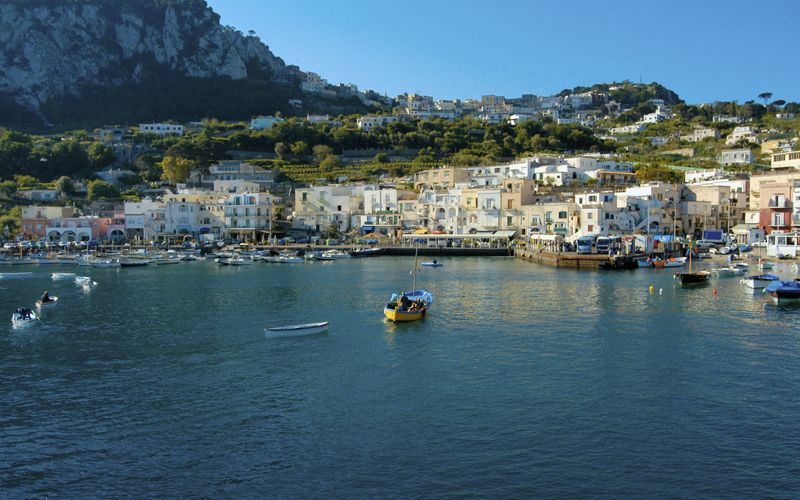 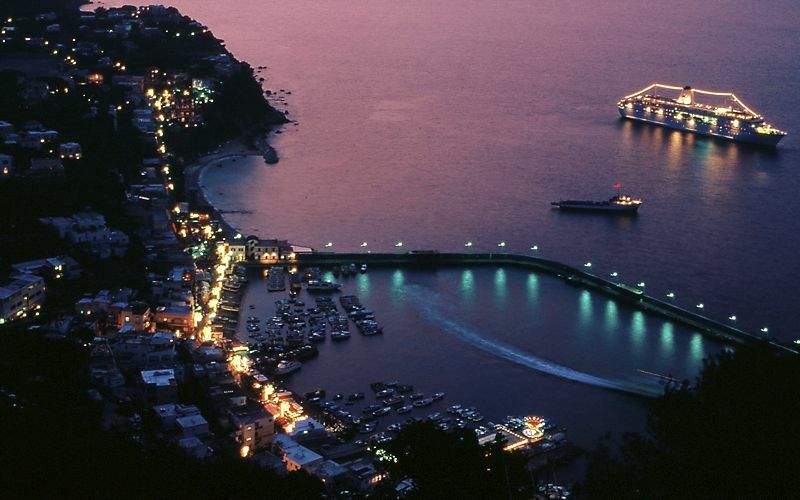 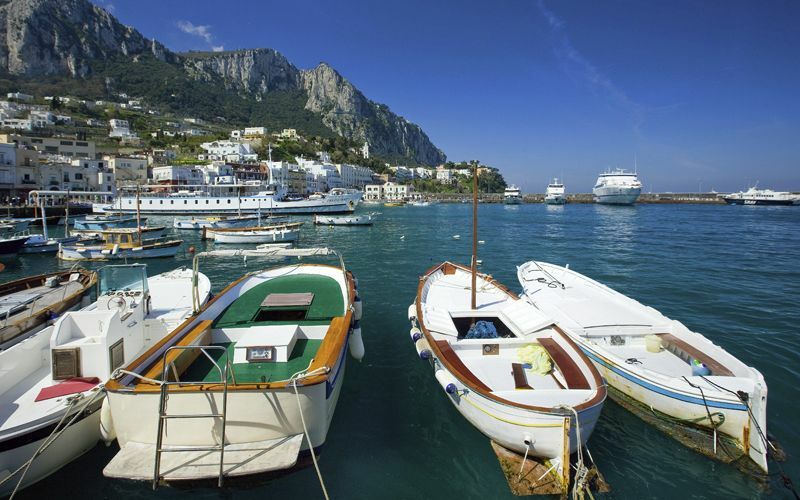 You can't visit Capri without passing through Marina Grande, which is the arrival point for all the ferries and hydrofoils from the mainland and both the commercial port and the marina for private ships and boats. 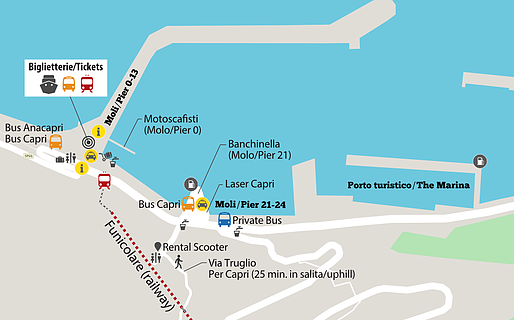 More information about the Capri marina. 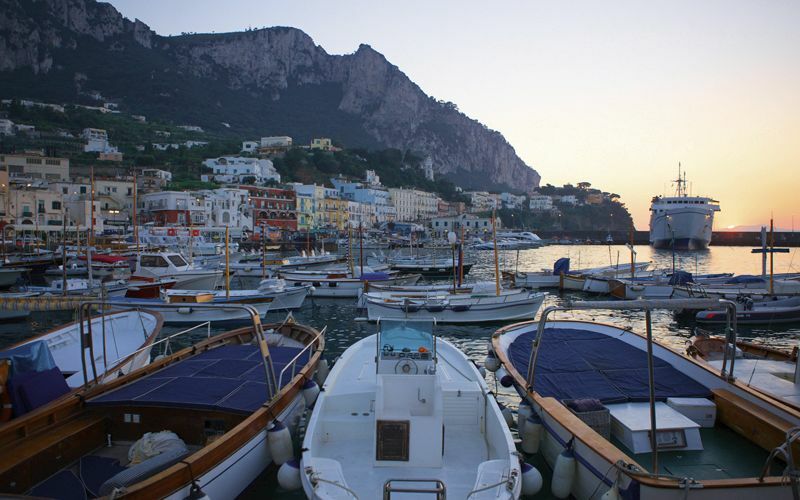 Marina Grande is always very busy in the summer, as the port area is quite compact and thousands of passengers disembark at a time from the larger ships. 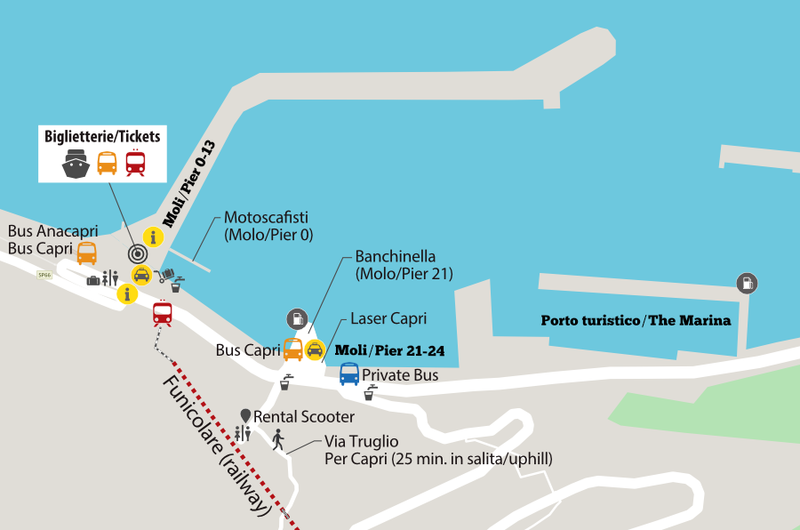 See the map below to orient yourself and find the ticket offices, the funicular to reach the center of Capri, and the bus for Anacapri. 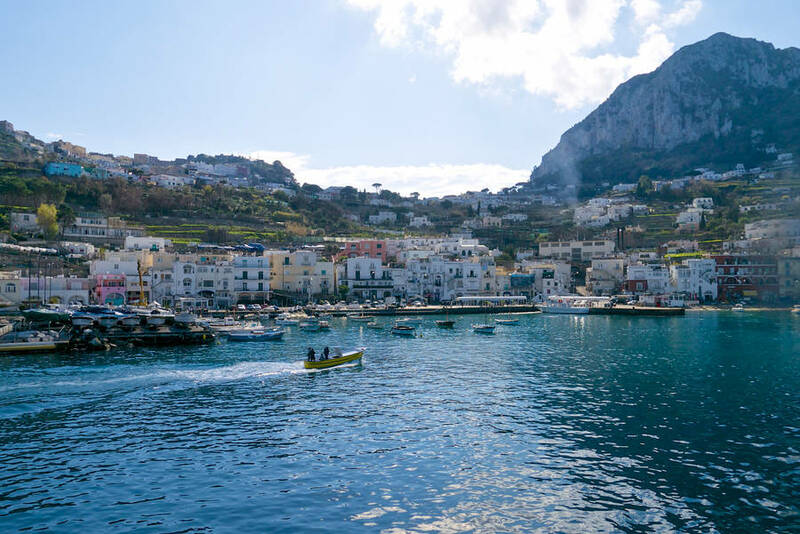 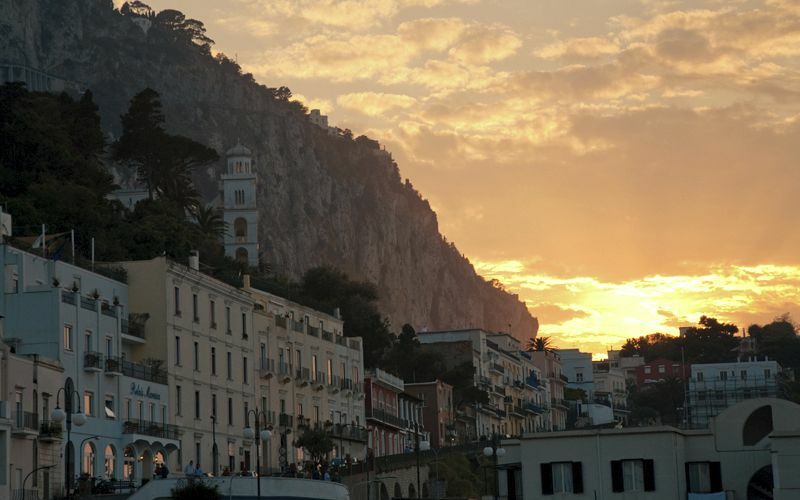 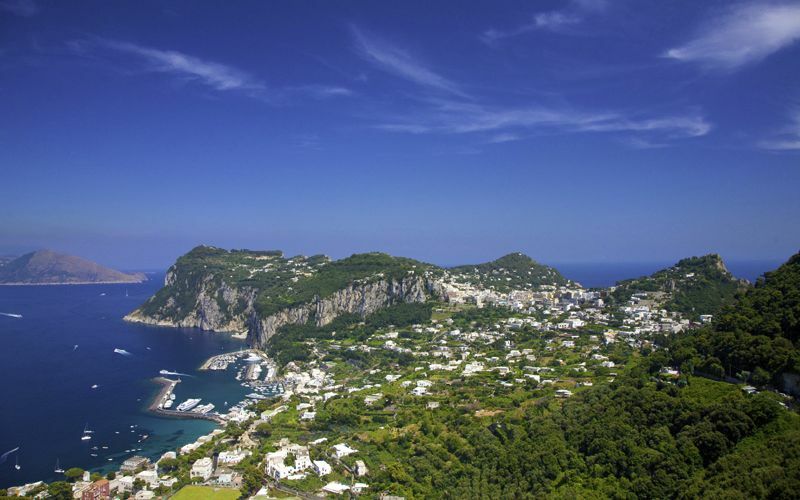 All the information and ticket offices visitors need are located in Marina Grande, including the Port Authority, Capri's tourist information office, the funicular station, and the depot for buses heading to various points on the island. 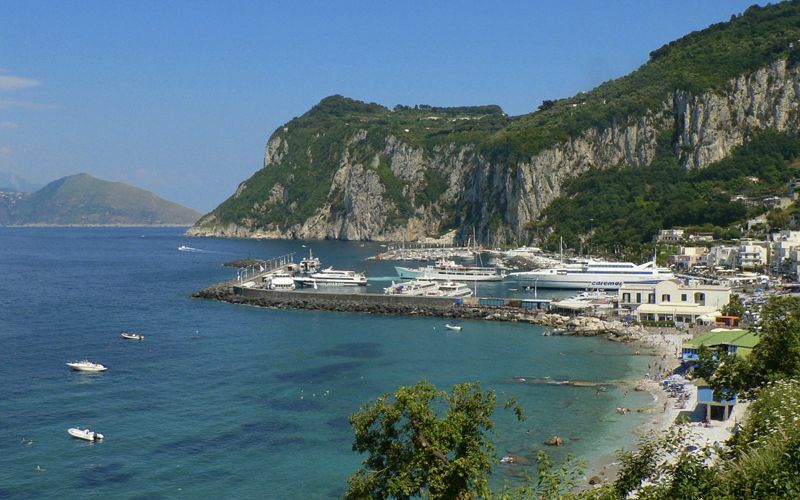 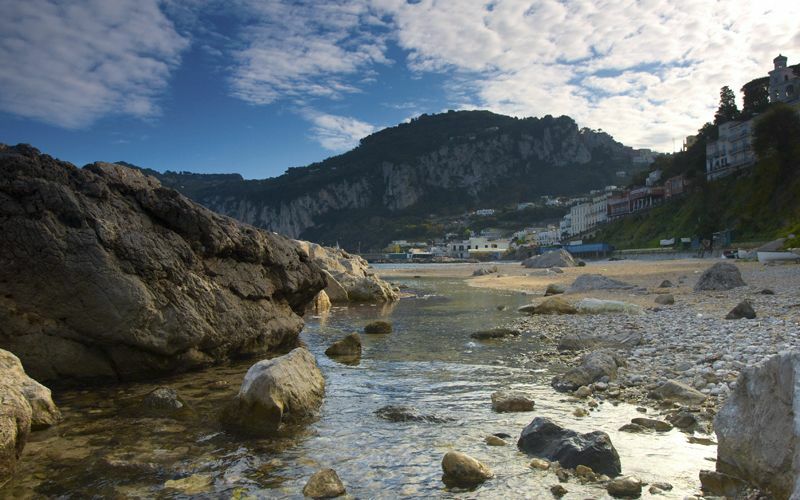 Marina Grande's public beach, the largest on Capri, and a number of beach establishments are not far from the pier. Marina Grande's public beach is particularly family-friendly, since it is the island's most spacious.